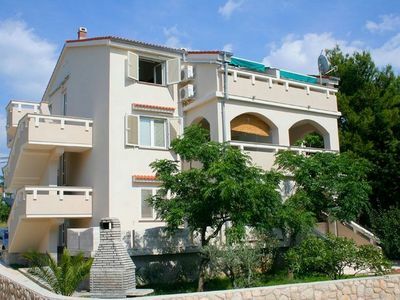 This amazing villa will astonish you with its modern design and its amazing sea view, overlooking Opatija and the Kvarner bay. 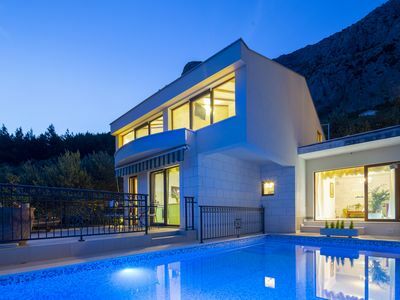 The villa is set on a 1400 m2 large plot and consists of 4 bedrooms, all located on the upper floor and having an en-suite bathroom, TV and air-conditioning, which makes it a perfect holiday home that offers optimal comfort for 8 persons. 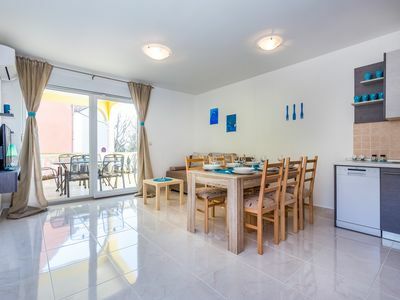 The ground floor is a very stylishly decorated open plan space that consists of the dining and living area and a spacious fully equipped kitchen. 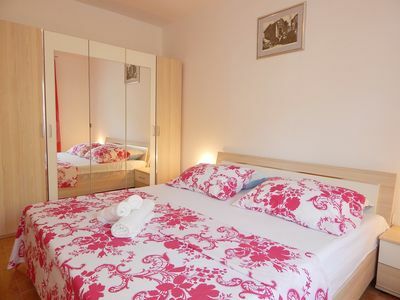 Here is also a separate room with a jacuzzi, a shower, and a sauna, as well as a room with a pool table for some more entertainment. 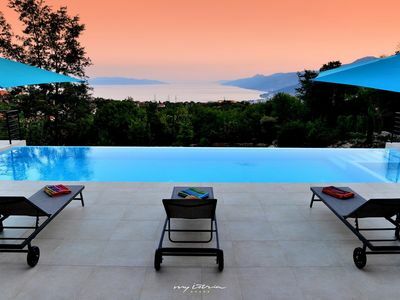 The living room is connected directly to the terrace where you can enjoy the dreamlike view from the private pool or from the cosy lounge area. 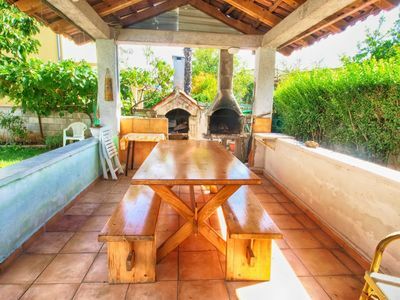 An outdoor dining area with a gas and charcoal barbecue is also at your disposal. 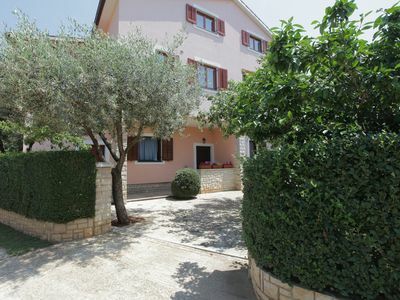 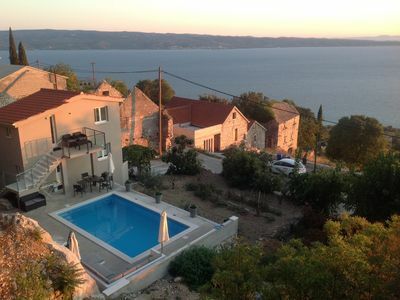 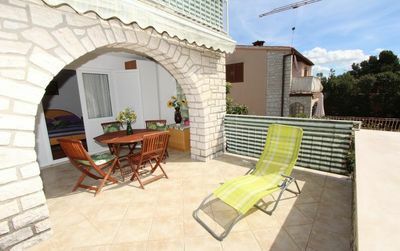 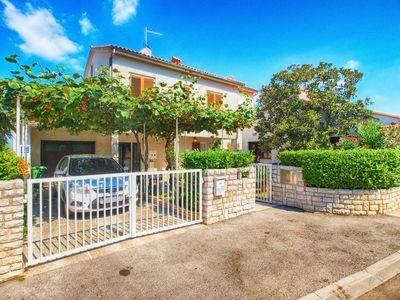 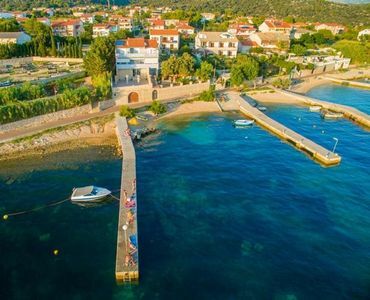 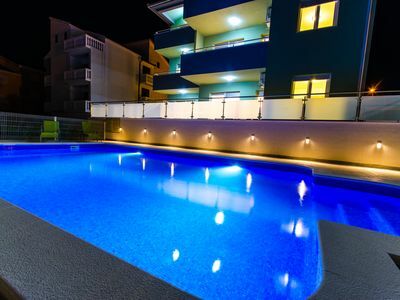 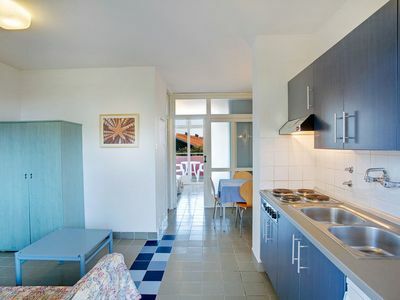 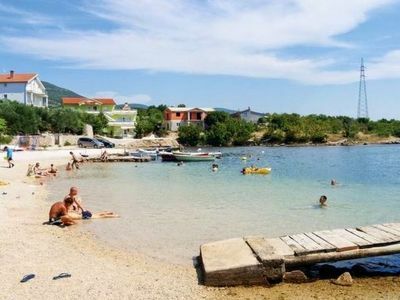 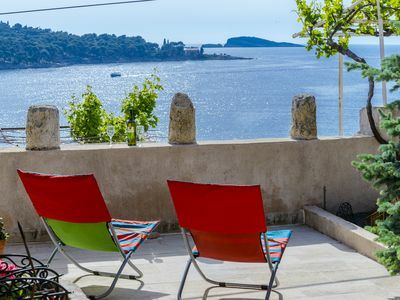 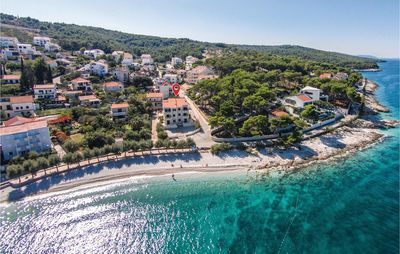 This functional villa offers everything you need for a relaxing and fun holiday, while the location enables you to discover all the beauties of the Kvarner region.